Capstone is a small non profit that has taken previously blighted or vacant lots in the Lower Ninth Ward and developed them into productive gardens and orchards. Located in part of a food desert Capstone grows and provides food at no cost to those who need it. 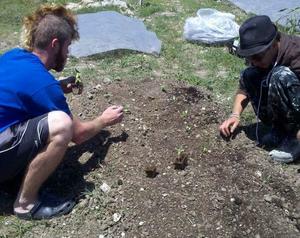 We also assist others in start their own gardens or allow others to garden on our lots as we have space available.